Some of these stories left such an impact on them that they took action and posted it on the internet. Be it a good experience or a terrible scam, this information is valuable to you. Check for websites that publish complaints from people who sell gold around NYC. The best websites allow the buyer the opportunity to respond to a complaint -- you get both sides of the story. On that note, it would be in your best interests to check out a gold buyer review site. These sites will be of tremendous help when you are trying to sell gold. 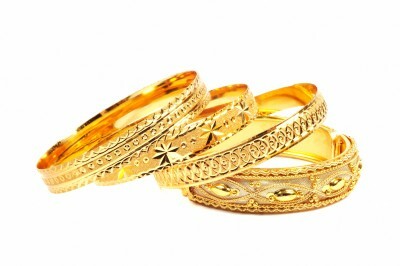 You will find actual facts on how much certain gold buyers will pay. Many of these sites will also do their own investigations on gold buyers and publish their findings on payment amounts, reliability, and frequency of late payments. Why price fluctuates wildly between Gold buyers When you sell gold and are actively trying to get the best possible deal, you will likely come across prices from both ends of the spectrum ranging from “pretty good deal” to “highway robbery”; why is that? This is because there are only a few major buyers who can afford to give you the best price when you sell gold. When you check out their online profiles, you’re likely to find any kind of unresolved complaint. There are two reasons why they can afford to do this: First, they have established themselves throughout the years and receive a large number of sellers and second, They have their own refineries which allows them to avoid including refining or brokerage fees from their price. There are gold buyers out there, especially in NYC, who will do their best to give you the least for your gold as they believe the average person is unaware of their gold’s true value. While those that claim they will pay you double, or even triple, the price of your competition may seem too good to be true -- so much so that it may make you suspicious, know that they can afford to do this and still make a profit. Everybody is happy.